The dough should be the texture of sugar cookie dough. If the dough is too wet, add more cinnamon. Add more applesauce if it's too dry. 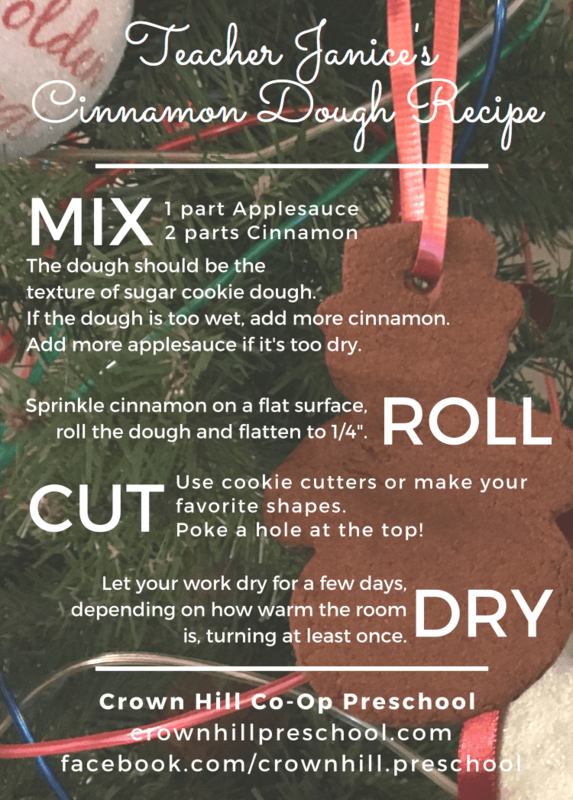 Sprinkle cinnamon on a flat surface, roll the dough and flatten to 1/4". Use cookie cutters or make your favorite shapes. Poke a hole at the top! ​Let your work dry for a few days, depending on how warm the room is, turn at least once.